You want a screen capture of a longer scrolling web page? Well, the Print Screen button from your keyboard won’t help too much, unless you are willing to spend a lot of time to manually scroll the page and take multiple screen captures until the page is done. I don’t even want to think about stitching those together. However you can do it automatically with PicPick. 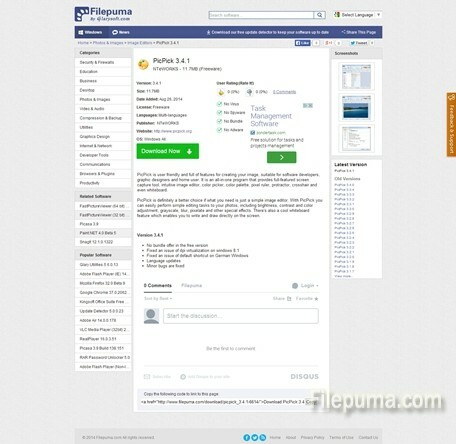 Step One: Download the free software by clicking the green “Download Now” button on the Filepuma.com site. Step Two: If you simply run the software it looks almost exactly like the old Paint from Windows. 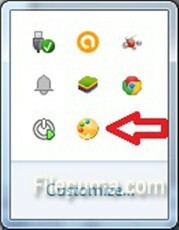 However, if you look at the Notification Area Icons you will see a Paint-like active icon. If you click on it you will get a list of options. You have to pick the second one, “Screen Capture”. You will get another list and from that one you have to select “Scrolling Window”. Be sure to be on the scrolling window before you do that. Step Three: Just click on the scrolling window and wait. The window will start to scroll automatically, then you will immediately see the capture opened in PicPick. You only need to save it. You can see the result below.